A Bridgnorth company chose a famous rally event to launch its innovative new protective coating for classic cars. Classic Motor Cars (CMC) has built a global reputation for classic car restoration since its foundation in 1993, and been responsible for restoring many classic Jaguars to Aston Martins, Bentley, Ferraris and Lancias and more, including modern prestige marques. 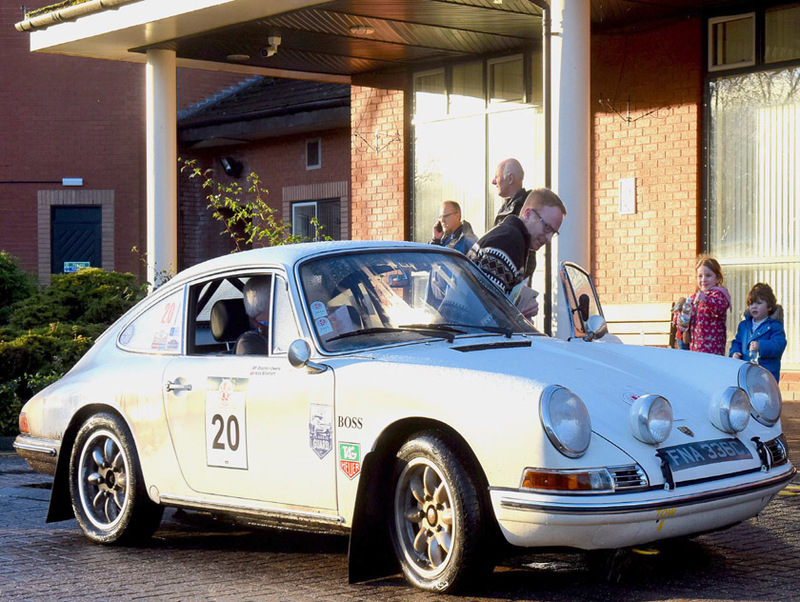 The company’s new specially formulated ceramic coating and aftercare products got the ultimate test when a 1965 Porsche 911 SWB took part in the gruelling Le Jog Rally which saw 70 classic cars driving from Land’s End to John O’Groats in just three days. Nigel Woodward, managing director of CMC, said: “We have tested this product for the last few months and it has proved to be fantastic for classic cars, so much so that we are now launching it as a new range of CMC ‘Classic Guard’ coatings and after-care products. Dan Brown, lead vehicle detailer at CMC said: "The technology makes other waxes and sealants look like they are from the dark ages. I'm really pleased that we are able to pioneer this technology in the classic car world and it's great to work with a product that I have so much confidence in". CMC have worked closely with Alpha Nano Developments Ltd. to produce the coating, as well as a range of ceramic infused after-care products using cutting edge Nano technology. The CMC Classic Guard coating is designed to preserve paint work, bare metals, wheels and even glass against degradation from pollution as well as environmental damage, corrosion and soiling.